Chris Hemsworth can be quite a character. Now it looks like he will take that talent to the ring as he will play Hulk Hogan in a new biopic about the wrestler that will be directed by The Joker helmer Todd Phillips. More on the report below. Martin Scorsese has been an executive producer on Todd Phillips‘ Joker since it was announced last year. While this is the filmmaker’s first superhero film, Warner Bros.’ vision for the character is what attracted Scorsese to the project. According to previous reports, WB is planning to expand the DC universe with new and unique storylines that aren’t a part of the current DC Extended Universe. Phillips says the film will be a gritty and hard-boiled crime drama in the same vein as Scorsese’s Taxi Driver, Raging Bull, and The King of Comedy. Now we are getting to see how much of an influence Scorsese is having on the film. According to new reports Robert De Niro, who starred in all three of the aforementioned influences, and Frances Conroy, who starred in The Aviator, are currently in talks to join titular star Joaquin Phoenix and recently reported Deadpool 2 star Zazie Beetz on the cast of the new the origins film. More on the story below. Todd Phillips‘ Joker origins movie finally has a title: Joker. It doesn’t get any more straightforward than that. 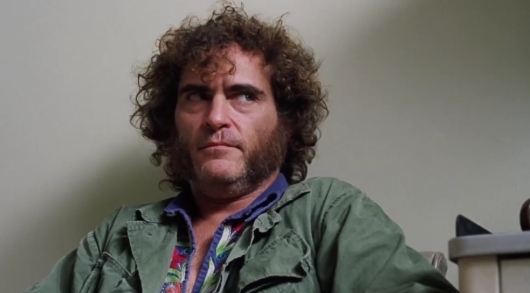 And now the film, which will see Joaquin Phoenix play the title role, has a release date. It will now open in theaters on October 4, 2019. Find out what kind of competition it will go up against in the full report below. Dread it. Run From it. That Joker origins movie is coming to theaters whether you like it or not. That’s right, the Joker origins film that will be directed by Todd Phillips, with Martin Scorsese acting as executive producer, officially got the green light from Warner Bros.
And Joaquin Phoenix, who was nearing a deal to star earlier this year, has reached a deal to play as the Joker. But the biggest question is, will the film put a smile on your face? More on the story below. The history of the Joker is never told the same way, but there is one arc fans refer to as the definitive backstory for the Clown Prince of Crime, Batman: The Killing Joke. 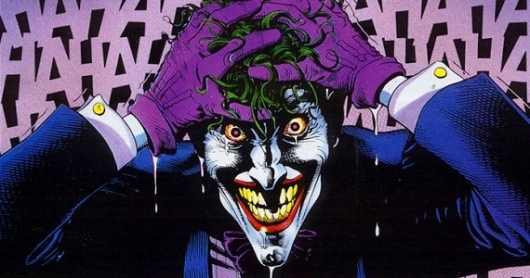 So it should come as no surprise that director Todd Philips would want to look at it for his Joker origins film. 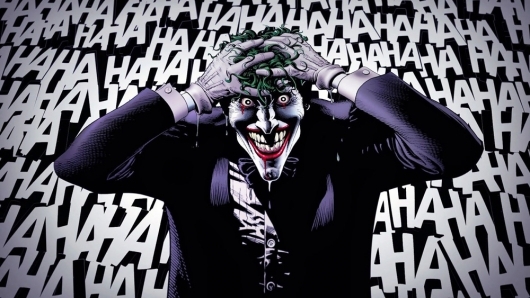 A new report says Phillips will be drawing some inspiration from The Killing Joke, in which a failed comedian falls into a vat of acid bleaching his skin and warping his mind, for the still untitled Joker origins film. More on the story below. Warner Bros. is continuing to develop their DC film slate in the most interesting of ways. In addition to the number of DCEU films currently in development, they have launched a new series of films that are not set in the DCEU. These standalone films will be much darker takes on the characters involved. And it all starts with an untitled Joker origins film. Written and directed by Todd Phillips, the film will be separate from the other DCEU films. The project was first announced late last summer. Jared Leto is still signed on to play the Clown Prince of Crime, having first appeared in Suicide Squad, and is expected to reprise his role in the Joker and Harley Quinn spinoff and other DCEU related titles. However, the plan for this movie was to cast someone else in the role. And now it looks like the director has found his actor. 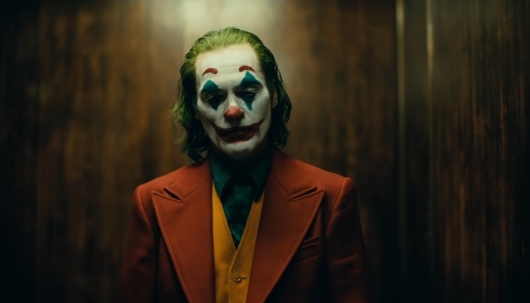 According to new reports, Joaquin Phoenix is close to inking a deal that will see him become the Joker. “You had my curiosity, but now you have my attention.” That Leonardo DiCaprio quote could be applied to the Joker origins film we found out about recently. When it was announced, I was curious at how a film that is separate from the DCEU could work. And did anyone really need a Joker film. But now comes word that Warner Bros. is actually looking at DiCaprio to potentially fill the lead role. Considering that Martin Scorsese is producing, and the actor has appeared in five of his films, this couldn’t be a more perfect pairing. More on the story below. The origin of the Joker has always been a bit ambiguous, but the common basis of his ascension to become the clown prince of crime is that he fell into a vat of acid that bleached his skin pure white, dyed his hair green, his lips were colored ruby red. Of course, because there is no definitive story, everyone has a different interpretation. And now it looks like Warner Bros. wants to tell that story on the big screen by giving the Joker his own origins film. Various reports confirm WB and DC are in the early stages of developing a Joker origins story. 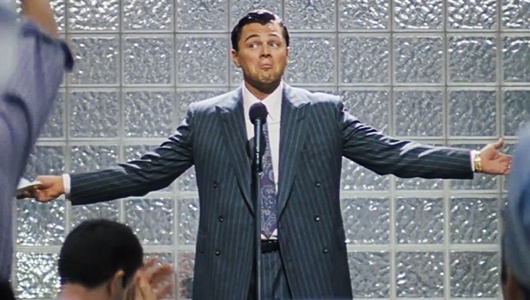 The Wolf of Wall Street‘s Martin Scorsese will be one of the film’s producers, while The Hangover‘s Todd Phillips is in talks to direct and co-write the script with 8 Mile’s Scott Silver. More on the story below.